What spells Caribbean better than ice cold Carib beer! The famous yellow bottles will be in abundance to quench the thirstiest of racers. Thursday Night will open the BVI Spring Regatta and Sailing Festival with the Carib Girls welcoming all participants to the new Regatta Village with a special deal for the night. Purchase a cold six-pack and receive a Carib T-Shirt. “Caribbean Cellars and Carib is delighted to be a part of this event. 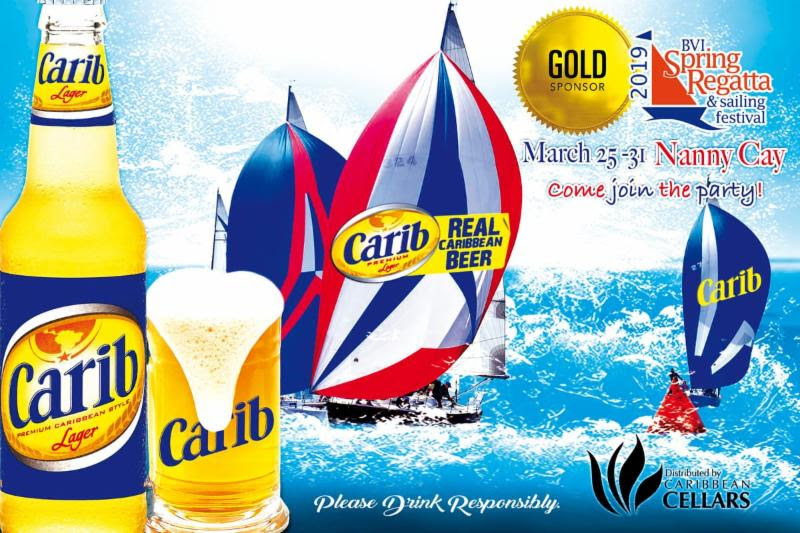 We are happy to be a Gold sponsor of the 2019 BVI Spring Regatta with our main beer, Carib. We have been involved with many events and regattas and this is an exciting year to be part of the 48th BVI Spring Regatta,” said Kishama Robertson, Marketing Manager for Caribbean Cellars. Also sponsored is the well-known Blue Moon beer, which is very popular for many East Coast sailors. The #1 beer served at the Annapolis Boat Show and yacht clubs. Both will be served in the new Seaside Bar located in the Regatta Village which is situated on the water’s edge near the entrance to the Outer Marina of Nanny Cay. This Bar will provide spectators with the perfect viewpoint to watch the boats as they leave and return. “The regatta committee is excited to welcome Carib back as the official beer for the 2019 BVI Spring Regatta and Sailing Festival. Carib is one of the most refreshing beers after a long day on the water and we know the sailors and visitors are really going to enjoy an icy cold Carib after racing.” said Village Manager Louis Schwartz. 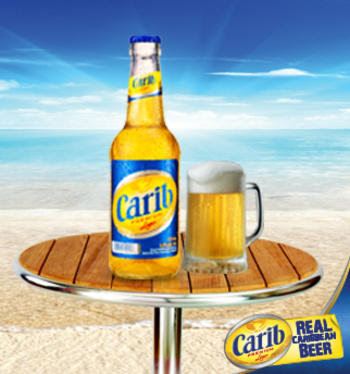 In 1950 Carib Brewery launched its award-winning Carib Lager beer. Since then, Carib has been a bona fide thirst-quencher and a symbol for everything quintessentially ‘Caribbean’ – energy and warmth that are briefly tempered by a cool sea breeze. It is a balanced, full-bodied and distinctively smooth lager that takes ‘refreshing’ to another level. The revitalizing appeal of this continental-style brew has made it an instant and permanent favorite and the first choice for any occasion. In the ensuing years, the Carib Brewery has grown substantially as a true Caribbean made beer with breweries in Grenada, St. Kitts, and Nevis. Their products are also internationally popular and exported to over 30 countries worldwide. Topped with a fresh squeeze of lime, Carib is the “Real Caribbean Beer”.